Our Company Beach Balls make great Promotional Giveaways during these long hot summer months due to the fact that everyone heads for the seaside. So all you have to do is decide how many you want and we'll see that they get printed up with your company details and logo to bounce around the beach for everyone to see. It's a great and cheap way to advertise your company. 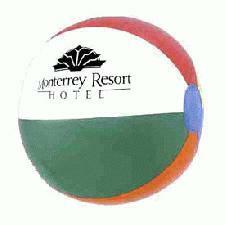 So advertise your details upon our Company Beach Balls today! To find out more about our Company Beach Balls click here and fill in the contact form and we'll get straight back to you. Please call for a FREE quote today? Other promotional and personalised items besides our Company Beach Balls click here.